Recently, I upgraded my home PC to Windows 7, as I wrote about in my Dell Dimension 2350 Article. I had a copy or two of Dell-supplied Cyberlink Power DVD from both the original purchase of this Dell, as well as my Latitude laptop. I had learned from my Vista install on the same PC that neither version worked well AT ALL with NT6 based operating systems. At first I considered purchasing the latest version of PowerDVD, which is pretty affordable, at around $20 a copy last time I looked. Common sense told me that surely someone or some group had developed an open source DVD playing app for Windows, so I set out to look. 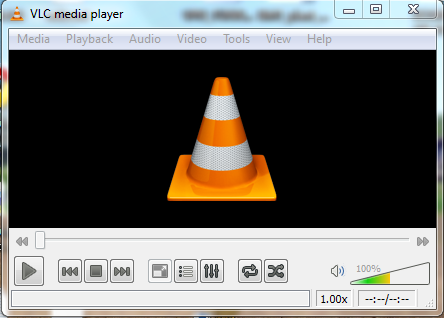 Pretty quickly, I came across VideoLAN's VLC Media player. Not only does it play DVDs, but it also can load streaming media from many sources, including Youtube and Hulu. Not sure how useful that will be, but still, it's the first software I've used that can do that directly. Playback is good and crisp, and can be sized easily. On two machines I tested, if you move the timeline bar around, it can take several seconds before the program reacts and moves to the spot you selected. Also, switching from windowed to full screen can be slow at times, but playback remains fairly smooth during such transitions. Even when it gets choppy, it will smooth back out after just a few seconds. As you can see in the screenshot, the volume control is easy to adjust, and will jump to the level you point and click at, that is, you don't have to drag it to where you want (though you certainly can if you prefer to do so.) If you want it all the way up, you can click the top end and it will respond immediately. DVD menu controls are available either via the menu bar on the top or via right-click popup menu during full screen playback. VLC Media Player uses QT to render it's interface, and as such, has somewhat of a KDE-like look to me (Components of KDE are also heavily QT based). I highly recommend this program as a DVD playback, as well as a general media playback solution. You can download it at http://www.videolan.org/vlc.